HDFC ERGO Health Insurance is a popular and well-reputed insurance firm that offers a wide range of health insurance products. HDFC ERGO General Insurance Company Limited is a joint venture between HDFC Ltd. and ERGO International AG. 24/7 Customer Support Team: HDFC ERGO has a well-equipped customer support team that handles everything from claims, purchases, and renewals on a 24/7 basis in a speedy and efficient manner. Faster Claim Settlement: Claims are settled in a hassle-free and speedy manner to help customers have faster access to cashless claim services and make the reimbursement claim process more customer-friendly. The my:health Medisure Classic Insurance Plan offers comprehensive coverage against planned and unplanned hospitalisation expenses. The policy covers in-patient treatment, pre-hospitalisation expenses, post-hospitalisation expenses, day care procedures, etc. Policy covers in-patient hospitalisation expenses, pre and post-hospitalisation expenses, day care procedures, domiciliary hospitalisation, hospitalisation due to an accident, maternity and newborn baby benefits, Ayurvedic treatments, and pre-existing diseases after the waiting period. Premium Premium will vary based on one’s age, sum insured, policy term, etc. The Health Suraksha Silver Plan provides good coverage with a wide range of benefits such as cumulative bonus, in-patient treatments, domiciliary treatment, emergency ambulance services, etc. Coverage for in-patient treatment, pre and post-hospitalisation expenses, day care procedures, domiciliary costs, ambulance, AYUSH treatments, and organ donor’s treatment expenses. Entry Age No maximum age limit. Premium Depends on age, sum insured, etc. The Health Suraksha with Regain and ECB Plan offers comprehensive health coverage to the policy buyer. In addition, the plan also offers an optional Enhanced Cumulative Bonus option and Regain Benefit. The Health Suraksha Gold with Maternity Coverage Plan is a comprehensive health insurance policy that provides good coverage at affordable rates. One of the key benefits of this policy is that it offers maternity benefits after the 4-year waiting period. The Health Suraksha Gold with Regain and ECB Plan offers enhanced health insurance coverage. It also offers an optional Regain benefit and an Enhanced Cumulative Bonus to policyholders. The Critical Illness Silver plan provides coverage for specific critical illnesses. The policy pays a lump sum benefit up to the sum insured amount upon diagnosis of any of the specified critical illnesses. The Critical Illness Platinum Plan provides comprehensive coverage for as many as 15 specified illnesses. *Note: Any other documents that are requested for will have to be submitted. The incurred claim ratio refers to the total value of all claims settled by the insurance company against the total premium collected by the insurer in a particular year. This number is usually calculated using a formula and is given out as a percentage. Customer Delight This provides policyholders unique access to services offered by health and beauty clinics, spas, pharmacies, etc. To renew an HDFC ERGO health insurance policy, log on to their website and click on the ‘Instant Renewal’ option. Once this is done, key in the policy number, and proceed to make the payment. HDFC ERGO has a wide network of pan-India network hospitals where customers can avail direct healthcare services. To locate the nearest empanelled hospital, log on to the website. Locate the nearest network hospital through the insurer’s website. Avail cashless services at the hospital by displaying your health card and photo ID. The healthcare provider will send the insurer a cashless request. The hospital will also coordinate with the insurer for authorisation of the cashless request. The insurer or the TPA will verify the documents and convey their decision to the hospital. You will receive updates about the claim via SMS or email. The hospital will send the final bills to the insurer. Approved bills will be paid by the insurance company directly to the network hospital. Any inadmissible expenses will have to be borne by you. Register your claim and fill claim form. Bills, invoices, and discharge summary should be kept ready. Submit the relevant documents along with the claim form. The insurer will verify the documents and approve the claim. You will be notified if any additional documents are required by the insurer. You will be notified of the claim status via email or SMS. Upon receiving all documents, the claim will be processed. The payment will be made via NEFT. The insurance provider has the right to withdraw the policy at any point in time if any information provided by the policyholder is untrue, misrepresented, or concealed. Incomplete claim forms will not be processed. All claims should be made within the stipulated time period mentioned in the policy. Claims cannot be made for any exclusions.  Can I buy HDFC health insurance policies online? Yes, you can buy any HDFC health insurance policy online. Once you read up and finalise on a product, you can open the link to the plan on the official website and click on ‘Buy now’. How do I find out how much premium I have to pay for my health insurance policy? The premium payable of a health insurance plan depends on a number of factors like age, plan type, tenure, sum insured, and so on. HDFC Ergo has an online premium calculator that you can use to find out how much premium you have to pay. All you have to do is choose the desired options and enter your contact details to find out the premium amount payable. Do HDFC Ergo plans have the lifetime renewability option? Yes, all HDFC Ergo health insurance plans can be renewed throughout the life of the policyholder. How do I know if a hospital nearby is a network hospital of HDFC Ergo? Once you purchase the health insurance policy, the insurer will provide you with a list of network hospitals from which you can ascertain whether the nearby hospital is a network hospital or not. Additionally, you can locate network hospitals on the official website of the insurance company. What is meant by ‘waiting period’? During the waiting period, insurance coverage is not offered to the policyholder. For example, if the general waiting period is 30 days, you cannot raise any claims during this period. Certain health insurance policies also come with waiting periods for specific ailments and pre-existing diseases. There is no particular reason for taking this health insurance policy with the HDFC ERGO GENERAL INSURANCE. I had no claim with this policy. The premium i have paid is for approximately 2-3K and it gives medical coverage which is nominal and it is for self. HDFC ERGO GENERAL INSURANCE is the health insurance policy where i have been using it since from past many years. The medical coverage is very good and they have given the 10L only for self. I had no claim experience with this policy so far with this policy. I have been using the health insurance policy with the HDFC ERGO GENERAL INSURANCE and i am using it from past 4-5 years as the medical coverage they have offered is for 3L which gives the coverage for the self. I had a no claim experience with this policy. I am holding the health insurance policy with the HDFC ERGO GENERAL INSURANCE since from past four years as the policy is very good to use also added on that i had a claim once with this policy which is reimbursement. The customer service is very good with this policy. The reason for taking the life insurance policy with the HDFC ERGO GENERAL INSURANCE is that they are providing with the good claim ratio. The premium i paid is for 20k for this policy and the medical coverage they have given is approximately 2L which gives the coverage for self. I have purchased the health insurance for my father from HDFC ERGO through online channel. The policy was suitable for my budget and hospitals are near to my area. I have paid the premium through online portal. I have received the insurance paper and card through postal. "Need to improve the service"
Still I have not received the insurance card and called the customer service lot of times and wrote an email but the response was not proper. Before taking the policy from HDFC Ergo they were calling and providing the proper solution, Once have paid they haven't respond. The premium was around 10K for a year. I have taken a health policy from HDFC Ergo before 2 years. It has less premium and it covers major network of hospitals. The policy coverage is 5L with top up policy of 20L and totally its 25L for the family. I have no claim. I have paid 20K as a premium through cash. I got a medical policy from HDFC Ergo and it covers 4 members. The medical coverage is 20L for total family. I don't know the premium which has been paid by company. I have no claim, I have a booklet am able to find the information. They have major hospitals for cashless treatment. It covers pre existing and does not include OPD. My husband is a senior citizen, I have taken a policy with minimum base and maximum top up cover policy. I am quite satisfied with the policy and other benefits. Even the representative came to my home and done the medical checkup, it was a marvelous experience. I have paid totally almost 30K through online. I got the insurance documents. I have taken health policy from HDFC Ergo, I feel that will get good service. Am quite happy with HDFC in other fields so I am quite confident with HDFC ERGO and chosen the policy. They are very prompt in clarifying about terms and conditions. I got a good benefits. I have taken a top up plan with the affordable premium. I am very much satisfied compared with HDFC ERGO when compared with others. I am a holder of HDFC credit card and they have called me issued a health policy of HDFC Ergo. I don't know about the benefits and medical coverage of 50L. Recently I got a call from Star Health executive, they said if we get hospitalized and utilized the value again they can increase the medical coverage but HDFC Ergo does not provide that benefit. The premium is good, moreover same once I go for claim I will get to know more about it.